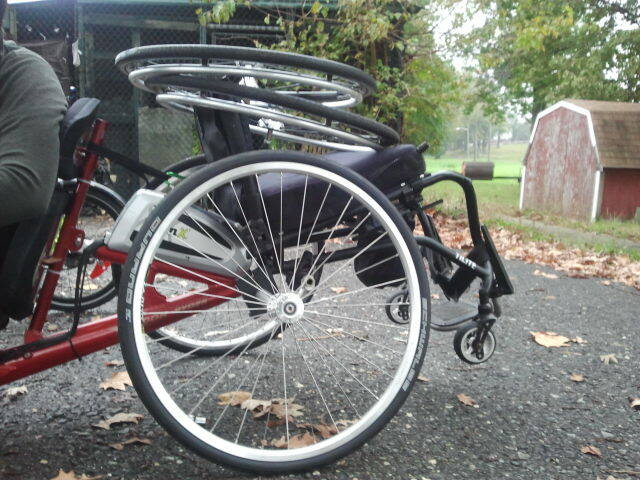 Have you ever wanted to bring your wheelchair with you when you are riding your bike? Now you can! 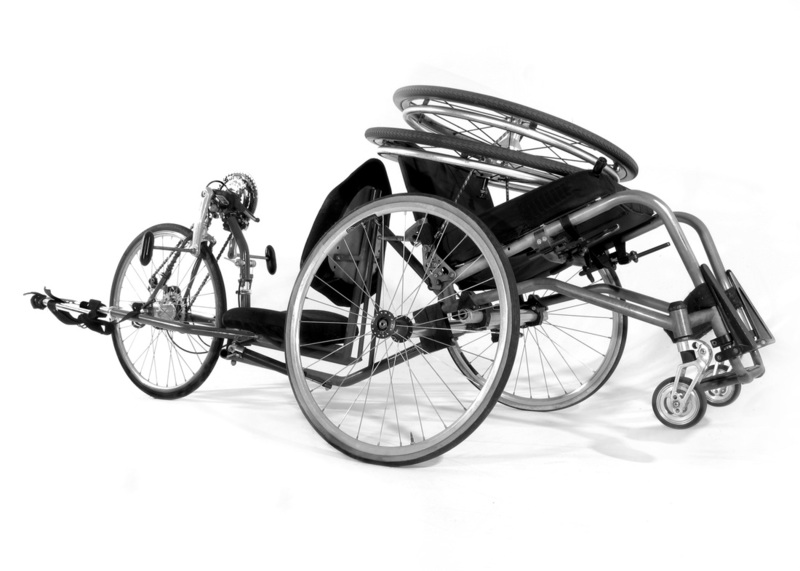 Wheelchair Buddies are a simple setup that easily attaches to your handcycle and allows you to bring your wheelchair and wheels along for the ride. The inventor initially designed them so he could tour around New Zealand (see the article published in SPORTS N' SPOKES magazine titled "On Top Down Under"), but they could also be used for commuting to work, riding to a friend's house, shopping, or anything else that requires the rider to have their wheelchair with them. 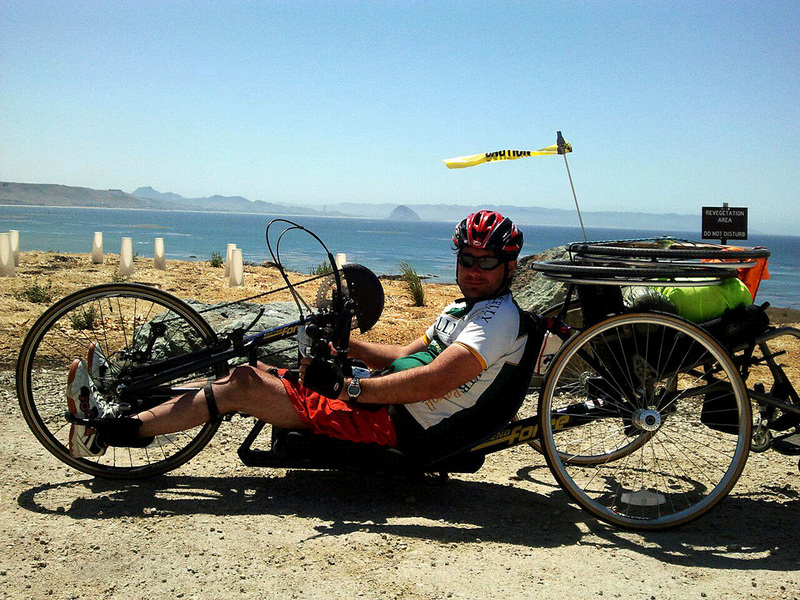 **** After 5 days of biking in the mountains of Big Sur, California, the Wheelchair Buddies on the Top End Force bike worked great, see the video page for more! 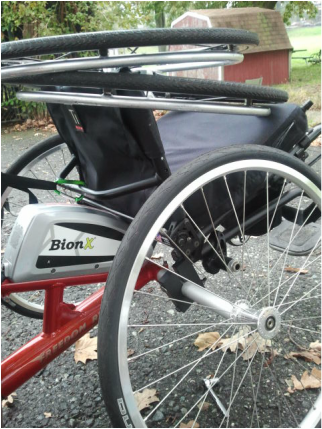 With a slight adjustment, the Wheelchair Buddies also work with the Freedom Ryder BionX bikes.